This is a most popular entertainment facility just moments from our marina. Throw on your deck shoes and come out for some dockside fun! Overlooking the St. Clair River, at the foot of the Bluewater Bridge, OLG Casino Point Edward offers you gallons of gaming thrills. Try your luck at 450 exciting slot machines including Megabucks and Blazing 7's. Ante up for your favourite table games. 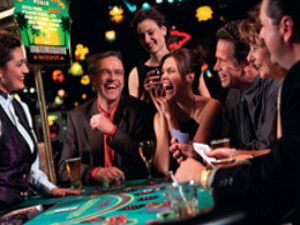 There are 27 in all, including Blackjack, Roulette, Mini Craps and more. Plus, take a turn at the Hold'em Poker pit. Visit OLGpoker.com for more poker information. Enjoy a leisurely meal and a spectacular riverside view at The Getaway Restaurant & Patio, which is fully licensed. Good times are rolling on the river at OLG Casino Point Edward!